﻿ Corporate Information | Dorval SC Tankers Inc.
Sea transportation of liquid chemicals is essential to improve the living standard. Especially, because we’ve been carrying more than 50 % of the liquid chemicals between Oceania and Asia, our contribution and responsibility to this region are significant. In performing such social role, we work as a communal unit, where each member can exercise their own strengths without fear or hesitation, and, where there is no restriction to nationality or age or educational background. To embracing diversity and strengths of everyone, we respect each member or office’s initiative and broad authority. As result, we provide a high quality service globally, with flexibility to meet each customer’s local need. And, in order to achieve long-term co-prosperity together with stakeholders, we will not pursue for quantity or bigger scale, but pursue for quality which should include each stakeholder’s satisfied feeling, credit, and, pride. It is our company’s will to keep meeting the social needs, together with partners, with basic principles, such as, gratitude, responsibility and sincerity. We kindly ask for your continued support and we look forward to moving forward together with mutual cooperation and guidance. Dorval commenced operations in 1970 operating chemical carriers between the Far East and Australia – New Zealand. The head office was established in Melbourne, Australia with a branch office in Tokyo, Japan. Dorval now has its head office in Tokyo with offices in Melbourne and Houston and we operate on a worldwide basis. Within the Dorval group, we have employees from eight different countries and each office is managed by local staff. With our multi-national staff and an emphasis on autonomy for each local office, we are able to ensure that all operations run smoothly and in a timely manner on a global basis. Dorval Tankships Pty. Ltd. was established in Melbourne. Dorval Tankships Pty. Ltd. Japan Branch was established in Tokyo. 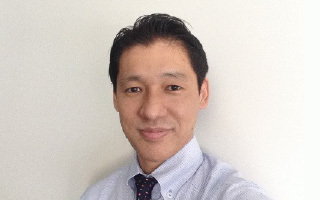 Dorval Kaiun K.K. was established in Tokyo, for the acquisition of ships and management. Dorval Kaiun K.K. becomes the core of Dorval group. Dorval Ship Management K.K. was established in Tokyo. Dorval Kaiun K.K. applied for an application of Civil Rehabilitation Law. 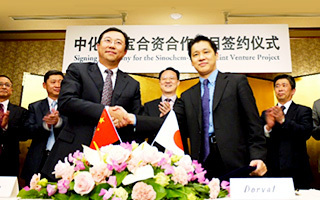 Sinochem International Corporation (SIC) concludes the sponsor contract with Mr. Yanagi. 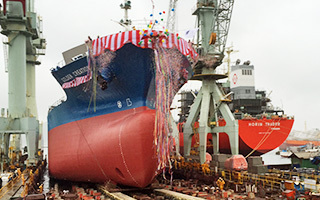 Dorval SC Tankers Inc. was established by financing of SIC and Mr. Yanagi. Dorval SC Melbourne Pty. Ltd. and Dorval SC Houston Inc. were established by financing of Dorval SC Tankers Inc.
Dorval SC Tankers Inc. started business. Copyright © 2015 Dorval SC Tankers Inc. All rights reserved.